Dr. Strong is being recognized for his important contributions of international acclaim to advancing ALS research and clinical care, and sharing his passion with new generations of students, researchers and clinicians. He is a former ALS Canada board member. 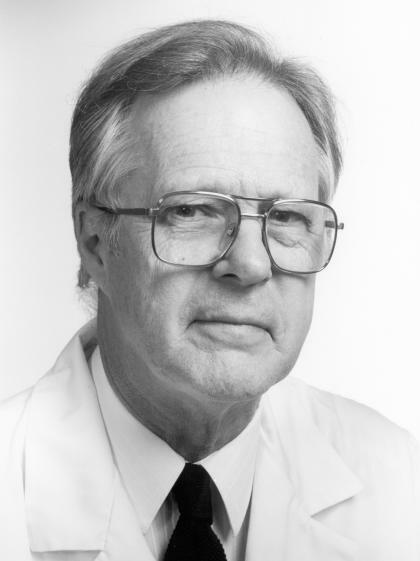 Dr. Hudson is a professor in the Department of Clinical Neurological Sciences and is being recognized for his leadership as a founding member of the ALS Society of Canada 35 years ago and, known as one of the fathers of modern day ALS care, for establishing the first multidisciplinary care clinic in Canada in London, Ontario, and only the second in North America. "This is not only a unique way to celebrate Her Majesty Queen Elizabeth II in the year of her Diamond Jubilee, but to recognize outstanding community leaders that have played a significant role in the ALS community. ALS Canada is pleased to celebrate the contributions of our 30 Diamond Jubilee Medal recipients. Each day these recipients make a difference for individuals and families living with ALS," said Lindee David, CEO, ALS Society of Canada. The Queen Elizabeth II Diamond Jubilee Medal was created to celebrate Her Majesty's accession to the Throne 60 years ago. This commemorative medal is a tangible and lasting way to pay tribute to 60,000 Canadians whose achievements have benefited their fellow citizens, their community, their organization and the country. It provides an opportunity to look back and recognize those who made Canada what it is today. ALS, more commonly known as Lou Gehrig's disease, is a rapidly progressive and fatal neuromuscular disease that causes the degeneration of nerve cells in the brain and spinal cord. As the nerve cells die, people with ALS lose control of their muscles, which makes breathing, eating, and even smiling almost impossible. Eighty per cent of those diagnosed will die within two to five years. The ALS Society of Canada, founded in 1977, is the only national voluntary health organization dedicated solely to the fight against ALS and support for those living with ALS. The Society funds research towards a cure for ALS, supports provincial partners in the provision of quality care for persons living with ALS, and provides information to build awareness about the disease.